Betty Jane Watson, age, 94, of Bismarck, formerly of Carrington, passed away Sunday, October 28, 2018 at Sanford Health, Bismarck with her family at her side. Betty Jane Taylor, daughter of Winfield Joseph (Reiter) Taylor and Ruea Delight (Hunt) Taylor, was born November 28, 1923, in Longview Township. She attended country school in Longview Township and Carrington High School and then went on to graduate from Valley City State Teachers College. She taught for three years at Hebron School in Wells County. On June 18, 1945, she was united in marriage to James William Watson, Jr. Together they were blessed with three children: Robert James, Patricia Marie, and Steven Lee. Together they ran a family farm in Wyard Township, rural Carrington. 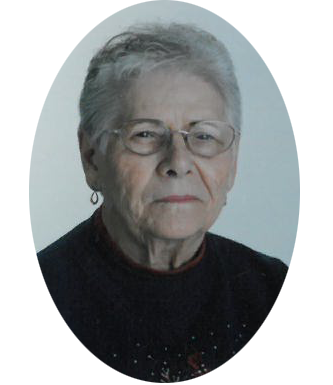 Betty was a member of the Federated Church in Carrington. She was also an avid bowler and at one time was named a Champion Bowler in her age group and represented North Dakota in a national competition. She loved to play Bingo and enjoyed jigsaw puzzles. Traveling was always something she looked forward to doing. Betty was also a standing member of the Dover Club. She is survived by two children, Robert (Mary) Watson, Steven (Mary) Watson; son-in-law Wallace Larson; five grandchildren, Evan (Dionne) Larson, Eric (Aymii) Larson, Renae (David) Peterson, Mitchell (Jeanne) Watson, Shawn (Jen) Watson and several great-grandchildren, Alex, Jada, Nickolas, Kate, Andrew and Benjamin; three sisters-in-law, Polly Laughlin, Ruth (Beck) Johnson and Mary Ann Watson. Betty Jane was preceded in death by her parents Winfield Joseph and Ruea; her husband James; her daughter Patricia; step-father Glenn Laughlin, Sr.; three sisters, Virginia Goter, Ruea Meldahl and Jean Black; three brothers Joseph Taylor, Theodore Taylor, Glen Laughlin, Jr. and many brothers and sisters-in-law. Visitation: will be one hour prior to the service on Saturday at Evans Funeral Home, Carrington. Funeral Service:will be held Saturday, November 3, 10:30AM at Evans Funeral Home, Carrington. I offer my deepest sympathy to Betty’s family and friends. I hold many fond memories of my pastoral visits with Betty. My husband, Jim wanted me to offer his condolences as well as greet Bob and Steve. We will continue to lift your family in our prayers. May God look with favor upon Betty and grant her eternal life! Always enjoyed my visits with Betty. God bless her memory. Thinking of you in your loss. Bless your mother’s full and rich life. God Bless all your memories.